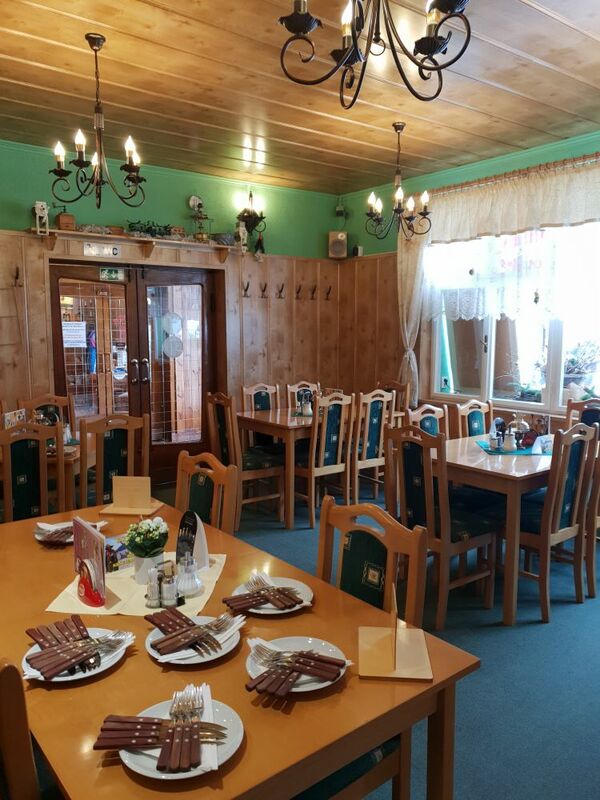 We would like to offer quality services to our pension and restaurant in Pec pod Sněžkou. Our well-proven restaurant offers all visitors of Pec pod Snezkou a variety of tasty dishes, every day from 11:30 to 20:00. You can book the table by phone or e-mail. 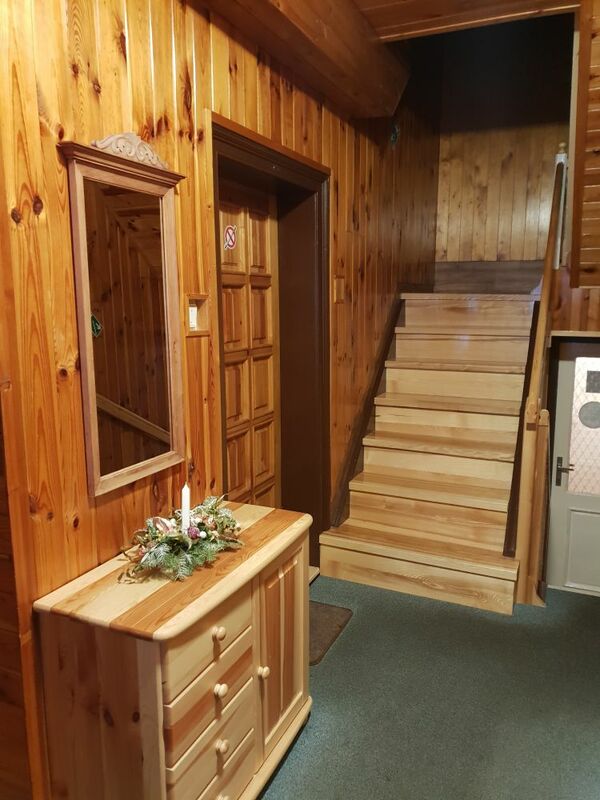 Pension Sněžka *** offers visitors 21 beds in 6 cozy rooms, each room with its own toilet and shower. In the rooms guests can use TV with SAT (300 programs CZ, DE, PL). The guest house offers free high-quality WiFi internet access and all the comfort you expect on your vacation in Pec pod Sněžkou. The historic house, in which our pension house is located, belongs to the oldest buildings in Pec pod Sněžkou. 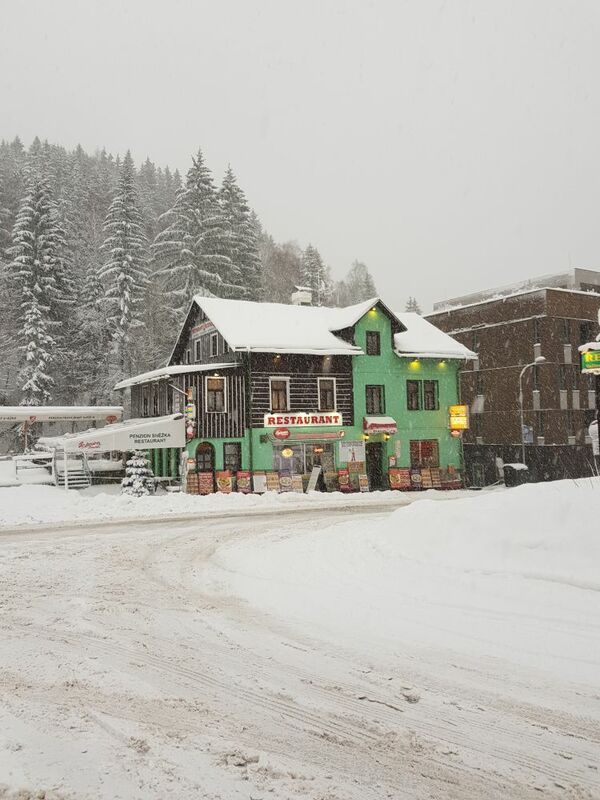 Hotel Snezka (Hotel Schneekoppe) was built at the beginning of the 20th century, at the beginning of the tourism itself in the Krkonoše mountains. We offer accommodation with breakfast. Lunch and dinner can be arranged at our restaurant at any time. We look forward to your visit to Pec pod Snezkou! Very cozy pension Sněžka in Pec pod Snezkou pleasantly surprised us and the accommodation was pleasant, including professional services. 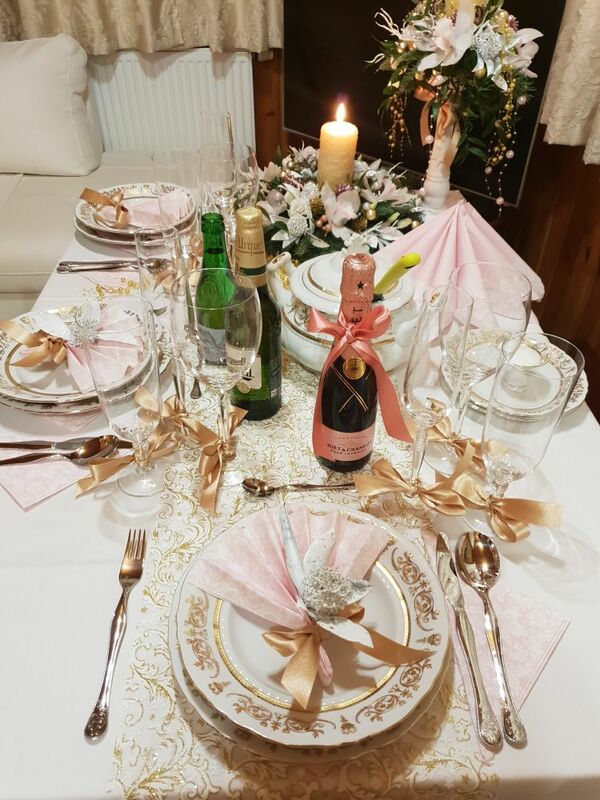 We would like to thank you for the pleasant moments of our winter holiday in Pension Sněžka and definitely recommend it to others. We go to Pec pod Snezkou every year regularly and for many years we are staying in the beautiful Pension Sněžka, where we feel really nice. The home environment and the cozy wooden interior, that's right for us. 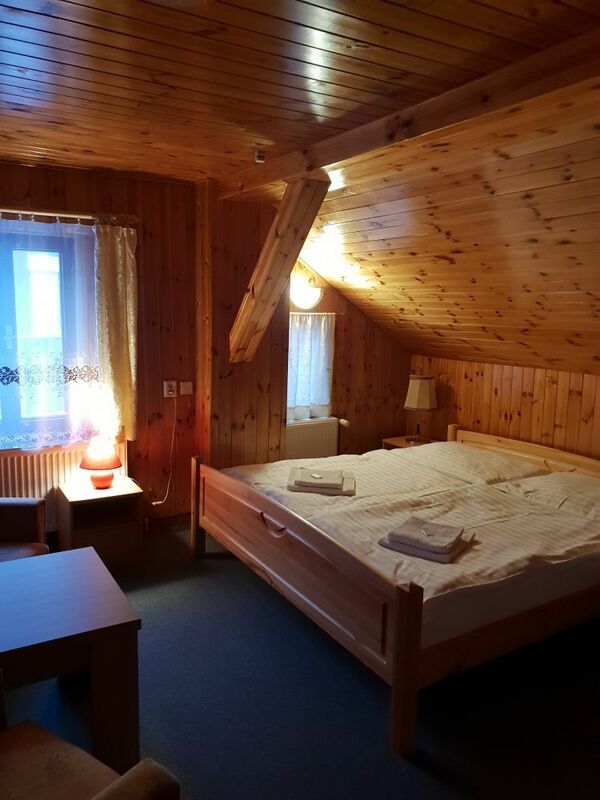 In our guesthouse we offer you accommodation in nice, stylish rooms made in wood. Rooms are equipped with private bathroom, TV + SAT. It is possible to connect to the Internet wirelessly via WiFi. 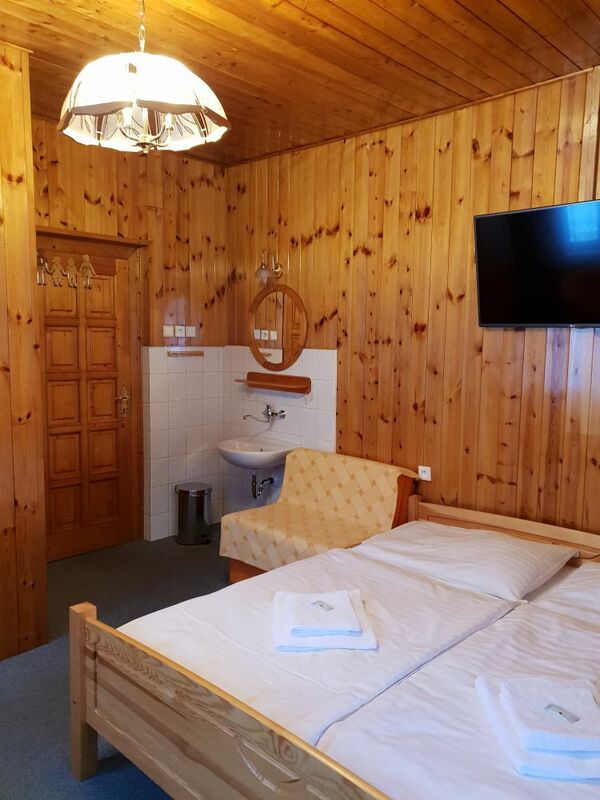 The guesthouse is of a hotel type, so it is possible to accommodate even one night. Below you will find all the necessary information about accommodation in Pension Sněžka. Parking: Free parking at the pension or 3x garage for a fee. 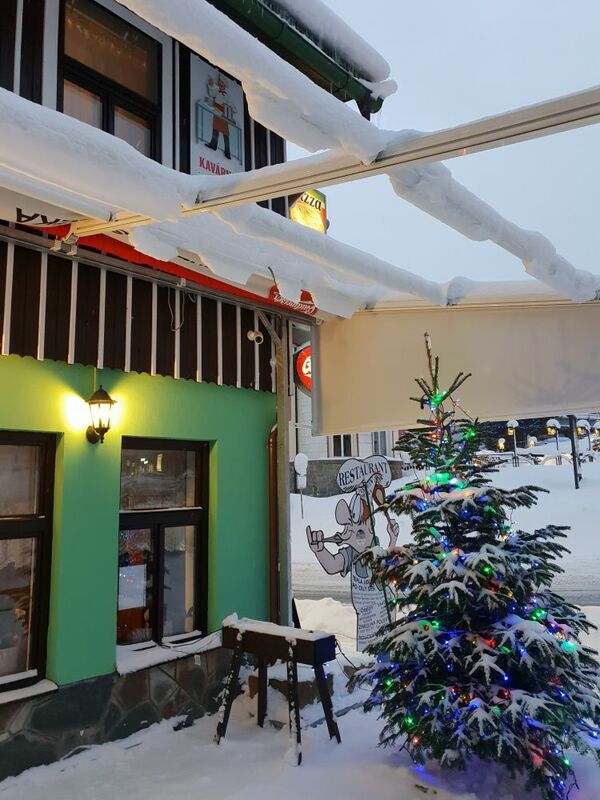 Other services of the pension: location in the center of Pece pod Sněžkou, free WiFi internet connection, possibility of dining at any restaurant during the day. Capacity of the building: 18 to 21 beds (with extra beds).